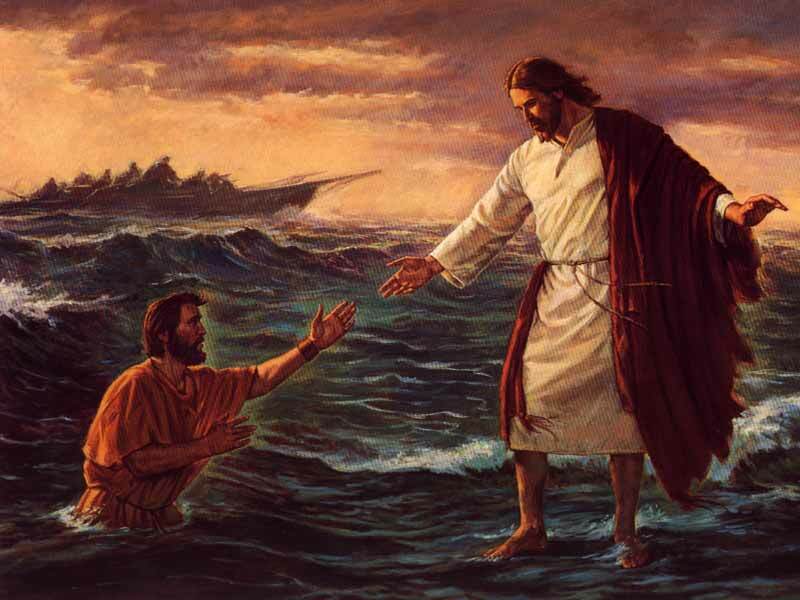 Peter walked on water. I really understand how, but I know why. I mean who would not want to walk on water so when Jesus showed up Peter could not wait to try it out. Curiosity was Peter's motivation. People get into a lot of deep water through curiosity. Curiosity has been the motivation to experiment with drugs, to flirt with the person who is not your spouse, to gamble all that you have just to satisfy your curiosity. Curiosity is not evil, but it can lead to all kinds of trouble. In fact, many who begin by following curiosity often find themselves in crisis. Mortgage brokers and stock market gamblers did not know when to hold'em, and now we are in the midst of a national crisis. Maybe you are caught up a crisis. Peter's crisis came in the form of a quick sinking feeling. Sinking feelings abound when crisis comes. When curiosity turned to crisis, Peter cried out to the Lord. No matter what crisis you are in today, you can cry out to Jesus. And when you do you will find Him to be able to save you from that crisis. then and only then will you be convinced of ability to save you from your crisis.